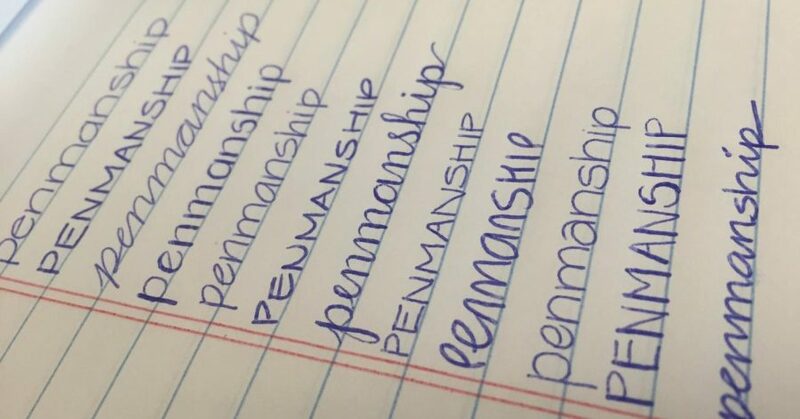 All students were taught proper handwriting techniques in their early schooling years. Starting in kindergarten, students learn how to write the ABC’s, and are expected to blossom into a student with meticulous yet eloquent handwriting. But do they? While most of my peers fall into the ‘neat handwriting’ category, I somehow have succumbed to a decisively horrendous handwriting style. I’m often met with condescending remarks about my poor penmanship. Recently, I was even asked to rewrite an in-class essay to be more legible, otherwise, my teacher would not be able to grade it. Why do some people not have technically good handwriting? Niles West speech pathologist Katrina Garmon explains how some people come to their slapdash form of script. There are a variety of other factors that can lead to having good or bad handwriting. As explained by special education teacher Mary Jo Schnabel, these factors have a massive impact on one’s handwriting. Whether people may have poor handwriting skills sometimes just comes down to how much they have practiced it. The old saying “practice makes perfect” goes hand in hand with good penmanship. This is demonstrated by junior Alyssa Sarilarp, who has worked tediously to improve her handwriting. My handwriting sometimes seemingly takes the form of ancient hieroglyphics, which is probably just a byproduct of my rushed writing. Using different strategies to make your handwriting better, and just plain old practice, can help all, including myself, improve their handwriting.